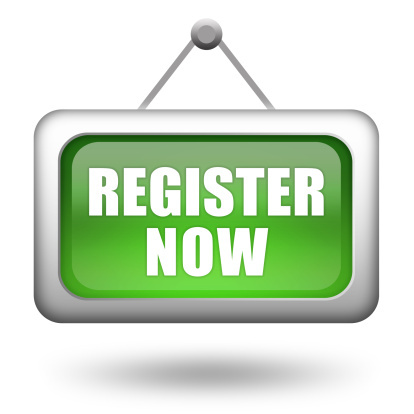 To register you will need to fill in New Patient Registration Forms. Your registration can only be completed in person at our reception desk with your proof of id. Electronic forms cannot be accepted on their own. Please also bring 2 forms of identification with you, one must be photo ID such as a passport or driving license, the other showing your address i.e. a utility bill or bank statement. If English is not your first language, please inform us. If you would like us to arrange a translator to be available during any consultation please let us know as soon as possible. If you would like to have access to any of our services available online, please complete this form. You need to bring the completed form to the surgery along with photo ID and proof of address. For further details about our online services click here. 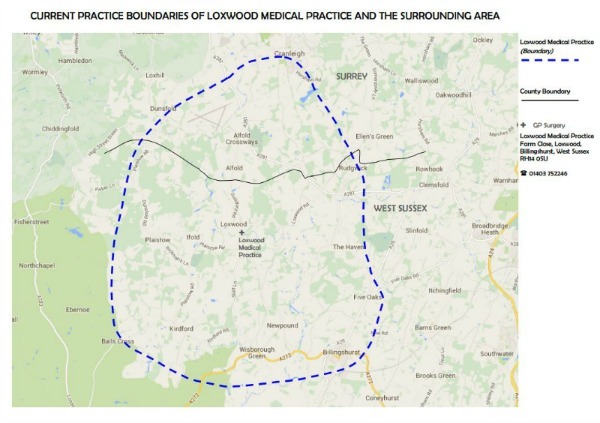 The blue line indicates our registered patient catchment area and forms our Practice boundary. We accept new patients living in these villages and the surrounding areas. We are now accepting new patients from all of the following areas, Adversane, Alfold, Balls Cross, Billingshurst, Cranleigh, Dunsfold, Kirdford, Rudgwick, Tismans Common, Wisborough Green and neighbouring surrounding villages.